If you have a fence around your yard, you should definitely think about investing in a good dog door. With the best dog door, you’ll be able to let your dog come and go as he or she pleases. This can definitely make your life a little bit easier. After all, you won’t have to worry about getting up to let your dog use the bathroom every single time. Nevertheless, you need to understand that not all dog doors are equal. You need one that is going to last and keep your dog safe. 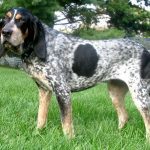 Within this guide, you’re going to find tips for ensuring you get the best dog door on the market! 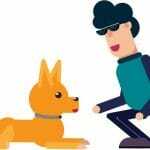 Letting your dog use your home’s door is often best. This is why you’ll definitely want to think about buying a door mount dog door. With this type of door, you won’t have to worry about punching holes through your wall. However, it might be a little tougher to get the hole cut perfectly. You can install this type of dog door on your front or back door. This will allow your pooch to roam into the back or front yard. There are also doors that can be mounted on your wall. This is a good choice if you don’t have a back door and want to give the dog access to a gated area. Wall mounted doors provide you with far greater freedom and many more choices. After all, the door can be installed almost anywhere. It will also be easier to cut through the drywall and wood instead of trying to cut through the door. Just make sure that you avoid the studs or add more stability to the frame. If you want something a little fancier, you’ll want to think about buying a sliding door dog door. These doors are mounted to the partially open sliding glass door. One of the advantages of this type of doors is that it can be installed temporarily. This is a good option for people who are renting and might be moving at some point in the future. Ultimately, there are tons of great dog doors out there. To ensure that you get the best pet door, you’re going to need to do a little more research. 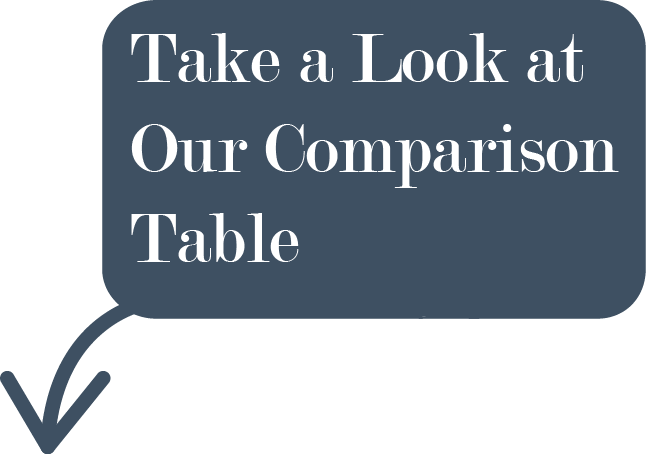 Besides looking at reviews, you also need to know how to evaluate the doors and pinpoint the best one for your unique situation. 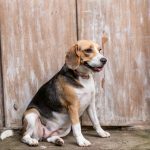 Below, you’ll find a breakdown of the most important things to consider when looking for a good doggie door. Punching a hole through the wall or door can be very problematic. If you’re going to do it, you need to make sure that you choose one that can keep the wind and cold air on the outside. Otherwise, your home will not be able to maintain the optimum temperature. In return, you’re going to be using your HVAC system more frequently and that will send the electric bill higher and higher. With this in mind, you should choose a door that is very energy efficient. To ensure that you get the best dog door for wall or door, you need to inspect its quality and durability. Both attributes need to be perfect or you’re going to have big problems on your hands. With this in mind, you need to inspect the material and make sure that it is going to last a lifetime. After all, you do not want to have to remove a damaged door and reinstall a new one any earlier than you have to. You also need to make sure that you know where you’re going to be installing the door. This is really one of the first things that you need to consider. Find out whether you want a wall mounted or door mounted dog door. Then, you’ll want to consider the other factors. Installing a winter dog door is going to be a very tough process. In fact, you might not be able to do it on your own. With that being said, you’ll definitely want to consider the installation process before making your investment. Make sure that you have the right tools and that you’ll be able to get the job done on your own. Otherwise, you might have to hire a professional to do it for you and that is going to increase the price significantly. Does It Have Telescoping Tunnels? It is also a good idea to choose a door that has telescoping tunnels. This is actually very important. If the door doesn’t have telescoping tunnels, there is a possibility that it is not going to fit in your door. With this feature, you can guarantee that the door is going to fit anywhere regardless of the wall or door’s width. 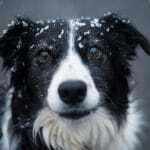 When looking for a dog door for cold weather, you’ll definitely want to pay close attention to the material. If the material is terrible, there is a good chance that the door is not going to be durable in the least. With that being said, you need to choose a material that is very tough and durable. Otherwise, you’ll be buying a brand-new door before you know it. Tough plastic or aluminum will be a good choice. To ensure that you get the best insulated dog door, you need to make sure that you choose one that fits your dog. This is vitally important. After all, your dog is going to be climbing in and out of the door frequently. If the door is too big or too little, you’re going to have significant problems. Be sure to take measurements of your pooch so you can guarantee that you get a perfect size. Finally, you need to think about security. You just never know when you’re going to become the victim of a crime. You need to prevent that from happening. One of the best ways to do that is by installing a dog door that has a locking mechanism. This will also prevent your pooch from running off when you’re sleeping in the middle of the night. Suffice to say, a dog door with a locking mechanism is highly recommended. If you’re looking for a great pet door that can be mounted to your home’s door, you’re in luck. Endura has what you’re looking for. This amazing dog door is going to make your life significantly easier. The door is available in two sizes to ensure that you’ll be able to find a size that matches your dog. The door is pretty expensive, but it’ll definitely be well worth it in the long run. The all-weather design ensures that this door is going to prevent the cold air from entering your home. The design is flexible and safe. That is exactly what you’re looking for! One of the best things about the Endura Pet Door is the fact that it is built to last. It is made in the United States and it has the highest quality materials. The heavy gauge aluminum frame will definitely last a lifetime. The framing is suitable for installation in metal, solid and even hollow core doors. 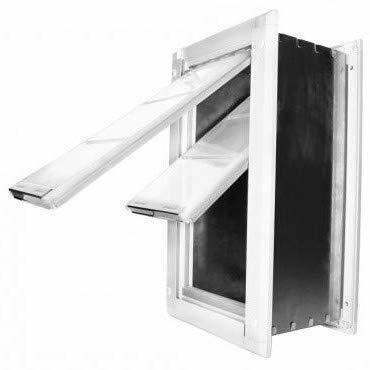 In fact, this dog door can even be installed on storm doors. 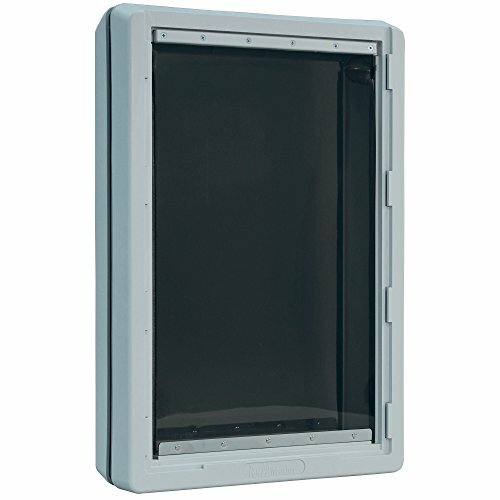 You’ll also be happy to know that the Endura Pet Door is equipped with a security lock. This guarantees that you’ll be able to prevent your dog from roaming in the middle of the night. You’ll also be able to stop strange pests from entering your home and giving you a fright. Overall, the Endura Door Mount Pet Door is great. In fact, it will prove to be the best dog door for many consumers. The door is durable, tough and energy efficient. That makes it well worth the investment. Those looking for an affordable pet door that will simplify their life will definitely want to look at the Ideal Pet Products Pet Door. There is a great deal to like about this door. The door might be cheap, but offers a handful of benefits that cannot be found elsewhere. For starters, it is available in more sizes. Consumers can choose between small, medium, extra large and super large. This ensures that you’ll have no trouble finding a door that meets your dog’s needs. It is pertinent to make sure that you get a door that is going to be energy efficient. Otherwise, you might be forced to use your heating and cooling system much more. The Ideal Pet Products Door is designed for maximum energy efficiency. It features all-weather materials and will definitely keep the cold weather outside. That can save you a little bit of money in the long run. This specific pet door is designed for doors. Nevertheless, it can actually be installed in walls too. However, you’re going to need to invest in the wall kit. It is sold separately. Nevertheless, it is nice to know that you have options. There is a chance that the flap will not stay closed, due to the poor-quality magnets. This is something you’ll notice when reading dog door reviews. Still, this is a great pet door. Just remember that you might need to find a new way to keep the door shut for good. The Endura Flap Double Flap Wall Mount Pet Door is amazing, but very expensive. In fact, the high cost is likely going to convince a lot of people to stay away from this door. That is a shame, because it has a lot to offer. This door is available in a handful of sizes, including small, medium, large and extra-large. You can also choose from several colors, such as white, black and tan. This guarantees that you’ll be able to find a door that meets your dog’s specific requirements. Again, this is a wall mounted pet door. The door can be installed in many types of walls. For instance, it is compatible with stucco, siding and other wall materials. The installation process shouldn’t be too bad for most people. This pet door is equipped with a security locking cover. And, it works exceptionally well. This is something that many people will appreciate. You want to make sure that you’re able to keep pests on the outside and this door will help you do just that. The Endura Flap Double Flap Wall Mount Pet Door is definitely worth the price. Nevertheless, the price is going to be too steep for a lot of people. If you’re happy to splurge, there is a good chance that you’ll fall in love with this pet door. PetSafe is definitely one of the best-known names in the industry. If you’re looking for an inexpensive pet door, you’ll want to take a quick look at the company’s Wall Entry Pet Door. This pet door might be affordable, but it offers a wealth of perks and will definitely satisfy most consumers. The door features a telescoping tunnel to ensure that it is compatible with walls of various widths. It is also available in three sizes, small, medium and large. The large door is suitable for dogs up to 100 pounds! It is nice to know that this door is pretty much suitable for all dogs. Since it is available in various sizes, consumers won’t have any problem finding a size that fits their dog. You’ll also love the door’s slide-in closing panel. This prevents your dog from getting out when you want him to stay inside. This also increases the insulation and prevents rodents from getting into your home. 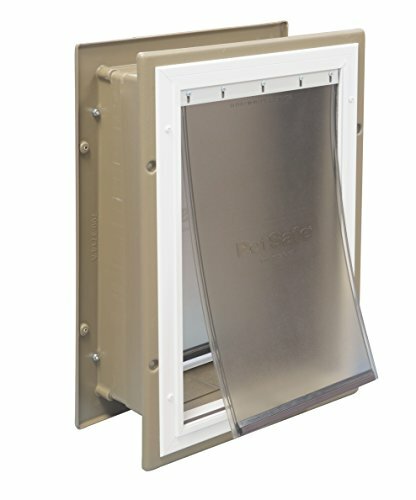 The PetSafe Wall Entry Door is great for those looking to save money. The flap holder might break, but that is the gamble that you’re going to have to take to save money. The PetSafe Freedom Pet Door is great for the price. 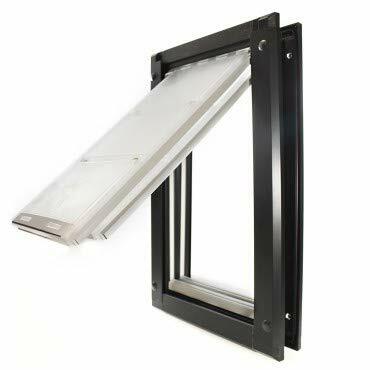 It is a little expensive, but it’ll make a great investment for anyone who wants a sliding glass door. There are tons of sizes to choose from. Therefore, you can guarantee that this door will accommodate pretty much all dogs and cats regardless of their size. You can also choose between three sizes. This door is pretty great in terms of energy efficiency as well. This ensures that you’ll be able to save yourself some money and avoid using your HVAC system too frequently. This door is capable of stopping rodents from getting into your home. 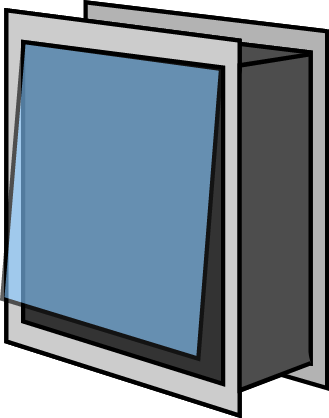 It features a slide-in closing panel. When you’re ready to go to sleep at night, you can just close the panel and sleep soundly. You won’t have to worry about anything getting inside or your dog getting out. The PetSafe Freedom Door is a moderately affordable solution to your problem. The door is pretty durable and it will definitely last for many years. Just remember that the weather stripping isn’t perfect. Therefore, you might need to buy some good weather stripping separately. If you’re renting a home or apartment, this will make a great door for you and your pet!